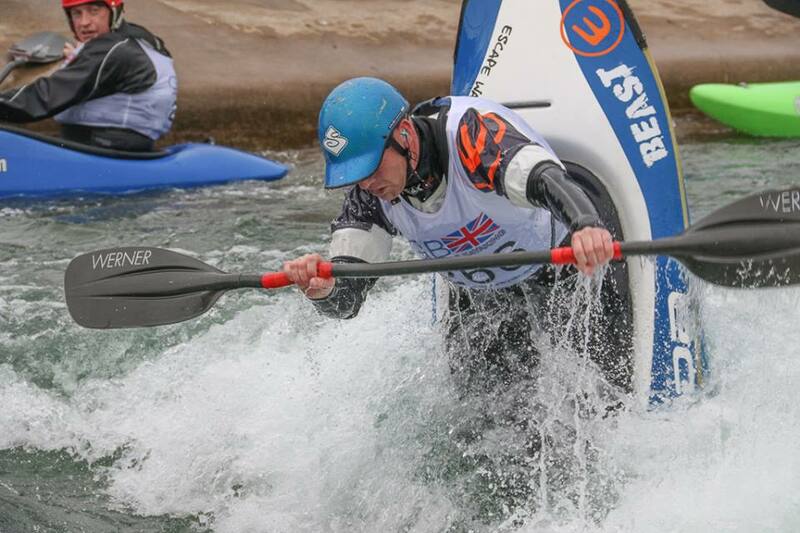 Despite having paddled the course a couple of times in the last few weeks, on the 10 cumecs session Friday night, I was still struggling with the feature as well as being thrown off by a number of other factors. This meant on Saturday I was still unsure on my ride and although I had one in mind, I knew it was going to be a tough event. However, during the day I decided to take another opportunity to jump in my Zen and do some big boating – which was actually pretty fun, although really quite tiring (they take a lot more energy to move than a playboat!). As usual with events at Cardiff, the competition didn’t start until well into the evening and I was also in the penultimate heat, so was gone 7:30pm by the time I was up. Having struggled with the feature, I didn’t manage to moves or rides down that I wanted and additionally hurt my back a little bit on my second ride. In the end I finished joint 5th, which is a little disappointing, but I guess that is sport, and sometimes things don’t go in your favour. 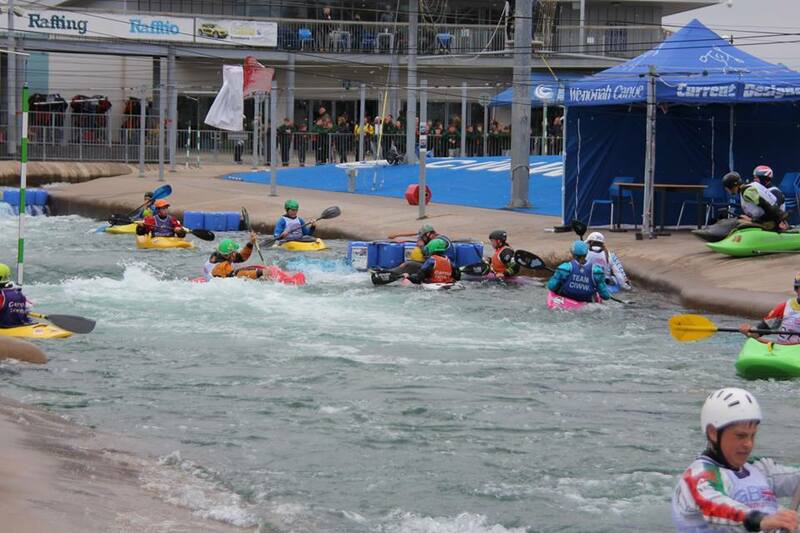 It is the a week’s wait until the second event in Nottingham on the infamous inlet gate at HPP. Hopefully get some training in during the week and just enjoy the competition. 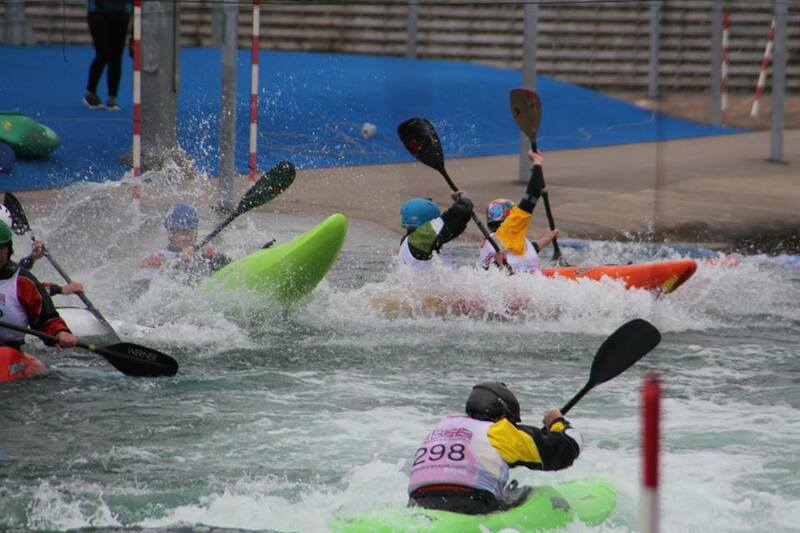 The second event in GB Selections was at Nottingham. Having had a rough time at Cardiff, for me this was more about showing myself I could put in some good rides and reinstalling some confidence. After lots of waiting (I was the last paddler), it was finally time to go and I felt pretty chilled out. I managed to put down some good rides, even scoring a McNasty which was pretty exciting, and links on a couple of moves. However, with a few moves being slightly off the mark they didn’t quite score. In the end, in a pretty high calibre field, I finished 4th, behind Islay, Nicky and Lowri. Now it is a case on waiting to see on the overall results, but with the year ahead it looks like I may be out of World Championships and taking the reserve spot for Team GB for 2017. Anyway it was an awesome event and fun to be on the water, feeling a lot more relaxed than last week and my back being significantly better. Thanks to Tom Clare for photos! 2012, I was the one being coached (then by Emily Jackson). 2017, I was the one coaching (this being the third time at the show). Having helped and coached at the Midland Canoe Show the last number of years, it is always a privilege to go back and hopefully have the same influence people back then had on me, on new people. Starting out, I remember just how friendly the whole freestyle community was, and that hasn’t changed a bit. 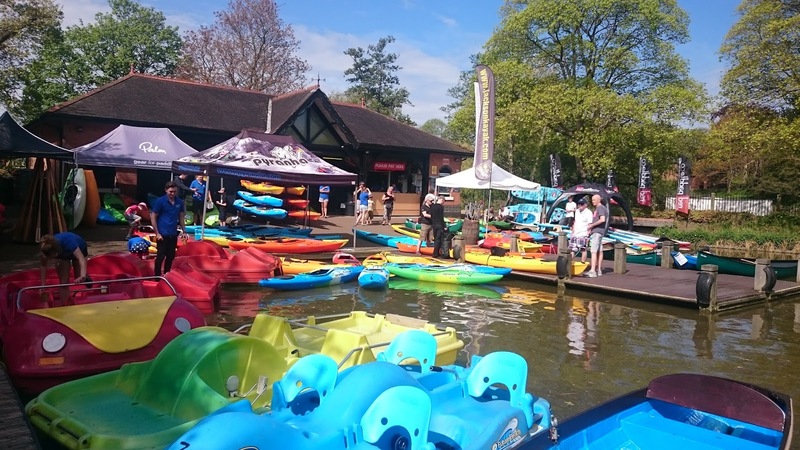 Whether it be looking for that next boat, a shiny new piece of gear, or increasing your skill set,the Midlands Canoe Show covers it all. 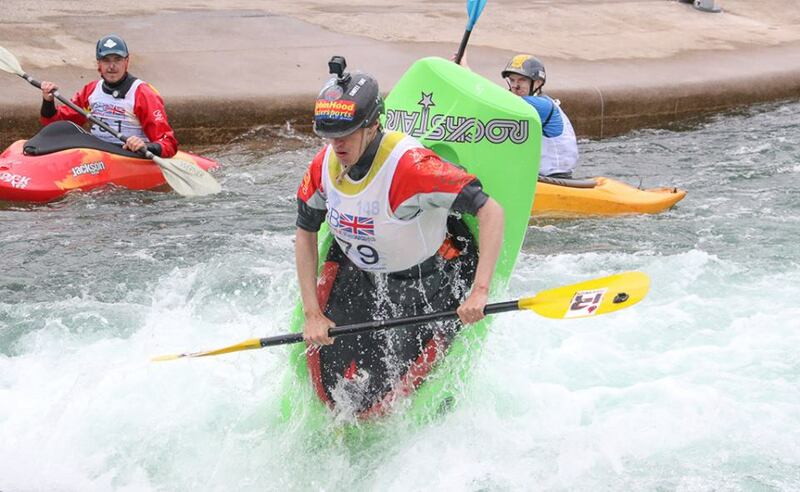 Throughout the day at the Nene, I ran both flat water and moving water workshops, as well as taking part in the Boater X (I came 2nd in my heat so missed finals) and just generally being around to offer advice on kit and tips for on the water. The sun was shining and with plenty of people it was great to see everyone on the water, demoing boats and pushing their own personal paddling. 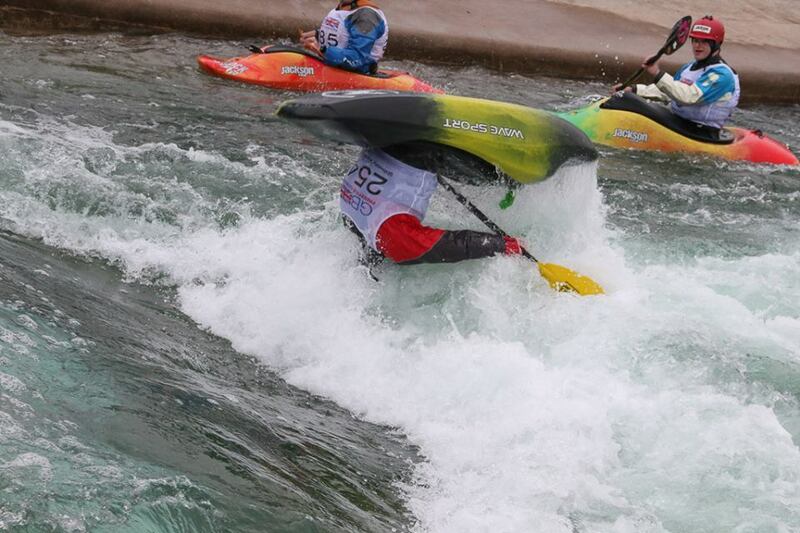 Overall it was an awesome day, and great to see an event with people and paddling at the forefront. This time, I largely knew what I was letting myself in for: sun, warm water, and world class rapids. Spending the first week on the island paradise of the Hairy Lemon, it really was just the case of eat, sleep, kayak. The river has been high most days meaning lots of time paddling on Nile Special, but we also were lucky enough to get to surf Malalu. It was awesome to paddle somewhere new and especially as it is usually rare to come in. In addition, we have done two river runs in this first week, with some of the guys running Itanda as well. We fully immersed ourselves in island life spending the time out of boats playing volleyball, Frisbee golf, Danish chess and cards. 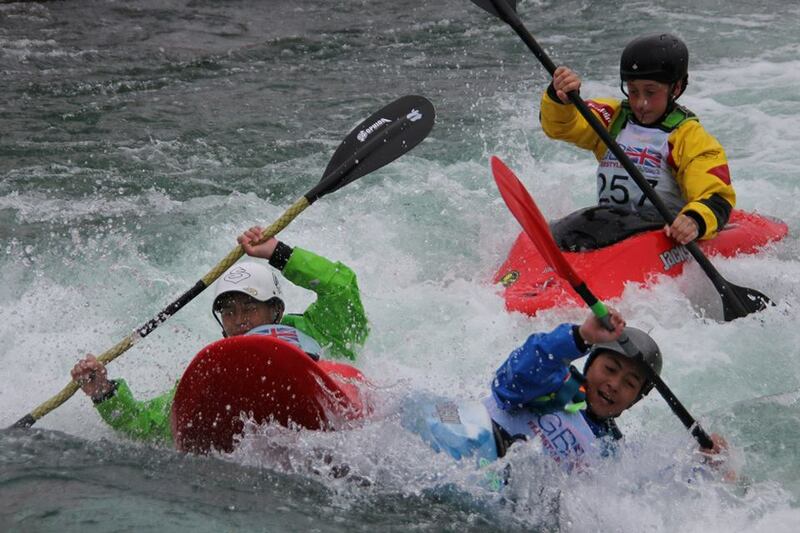 For me, it is a very different experience to last time as there is not the impending wave World Championships. The island was definitely a lot quieter than last year, and also the eddy! However, one thing that is definitely the same is that I am still keen to push my boating. With this is mind, after reminding myself of blunting on special, I have now begun working more on back blunts and pan ams. We have now moved into Nile River Explorer’s in Bujagali in order to access more river runs and also to paddle super hole. Even living off the island, life is still very chilled with only kayaking, taxis and food to consider. When I arrived, it was boats (and SUPs) galore. The sun was beginning to break through and it promised to be a great day! While it was still relatively quiet in the morning, I took the chance to get on the water and have some flat water freestyle practise – especially as I haven’t done as much lately. I also had a go trying between the new and old Rockstars to see what I could decide. But they still felt much the same, and flat water isn’t a true representation of a freestyle boat. By the time I was back, it was starting to get quite busy, with boats, people and kit all moving around. So I decided to stay out the way, and it was back onto the water on a SUP. Not having been on since last summer, meant I was a little wobbly to start with, but soon found my balance. As the day continued, it kept getting busier. Everybody was trying something, from motor boats and pedal-o’s, to creek boats, sea kayaks, playboats, SUPs and canoes! With the sun out, we also spent a lot of time on the SUPs, trying everything from yoga to races (and quite often swimming!). In the afternoon, I also did some freestyle coaching, starting with ‘never done freestyle’ to an ‘improver’ group working on cartwheels and split wheels. This was awesome to pass on some of the things I have learnt over the past, and also implement my new Level 2 skills. Overall it was a great day, and a perfect environment to try out new skills and new kit, as well as enjoy the sunny weather. Despite the typical Welsh rain, when I arrived, there was already lots of paddlers and rafts on the water. 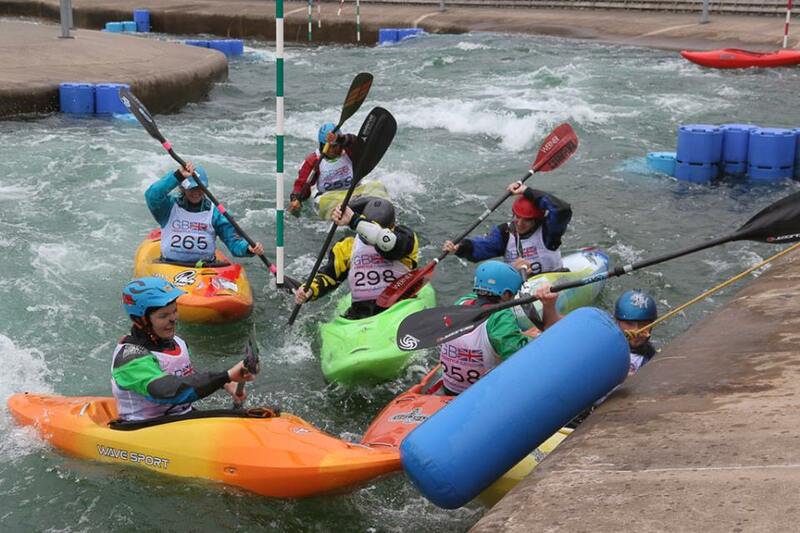 When the course finally opened to GB Freestyle & Welsh Open paddlers, it became chaos. 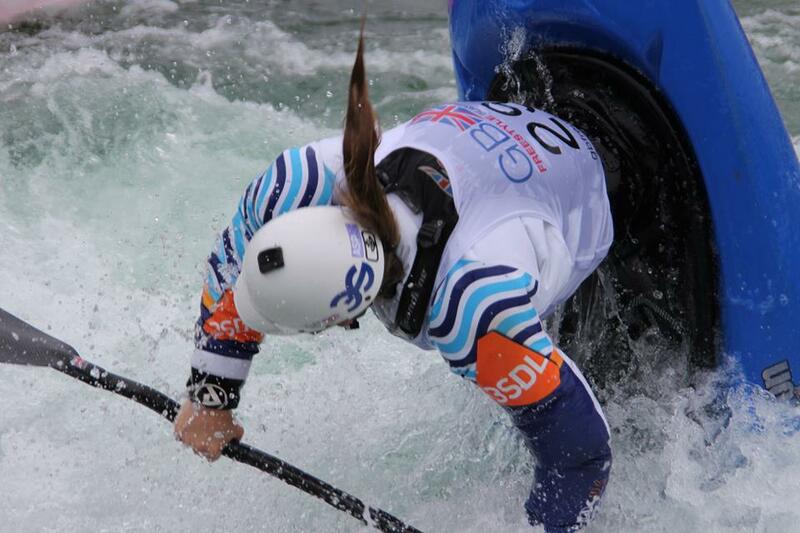 In a way it was a good chaos as the eddies were full with freestyle paddlers and everyone was trying new moves, and getting used to the course. However, there was also the frequent creek boat dodging and raft avoiding – both which can be quite surprising to see out the corner of your eye when they are aiming full throttle for you. (Thankfully though, most were successfully dodged!) Just to add to the chaos, was also CIWW’s notorious swirly eddies, where it is impossible to sit still, and even harder to not crash into anyone. 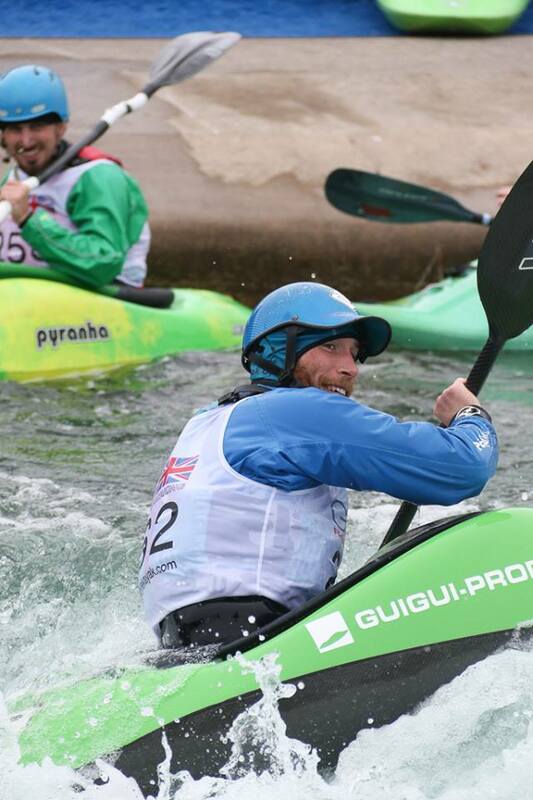 I wouldn’t say the practise session was the most relaxing one ever, but I did get used to it and soon began to quieten down as the rafts, slalom paddlers and recreational boaters finished their sessions. By 4pm it was time to start the event, and with a quick briefing and organisation, the first heats were soon starting. Time keeping has never been too strict at Freestyle events, and this was certainly the case on the day as we were soon almost an hour behind schedule. But we started pulling it back on time as the event went on. 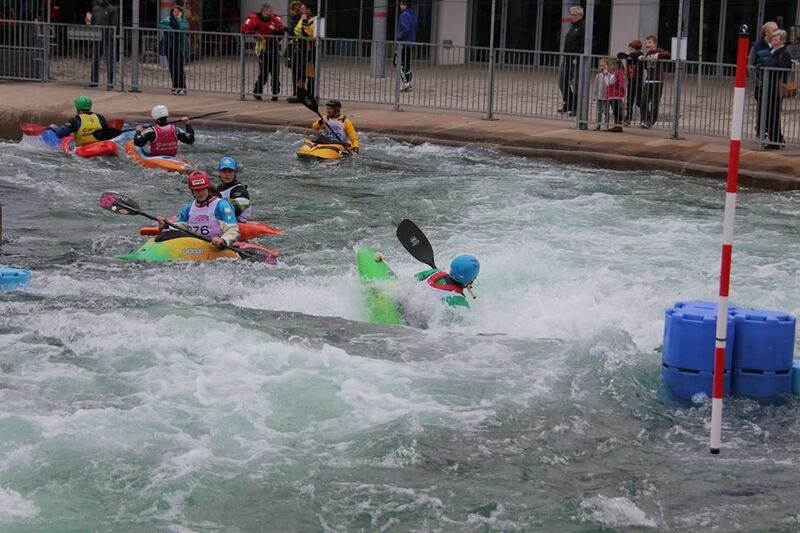 It was awesome to see so many ‘novice’ boaters, and everyone trying new moves. Soon, it was my turn (admittedly, over half a hour later than intended). As I got on the water, I quickly realised that the cake I’d eaten not so long ago was a bad decision as I could feel it sitting heavy. However, it was already late and there was considerably less people there than in the day. I rushed onto the water, and then straight down the course, with hardly a time to stop and think. Next thing I knew, I was watching Nicky and Lowri take their turns – and then it was my go. Despite having paddled fairly well earlier, my rides were not that great. Struggling to get Spaces and having difficulty on linking the cartwheels without flushing, on my second ride, I thought “why not? !” and just went for a McNasty. I’m still not sure if it scored, but it felt pretty close if it didn’t. This boosted my confidence for my third ride, but it now felt quite late and I was tired after a long day, and my last ride was no better than the first. However, I did finish 3rd overall and it is still my first season as a Senior. 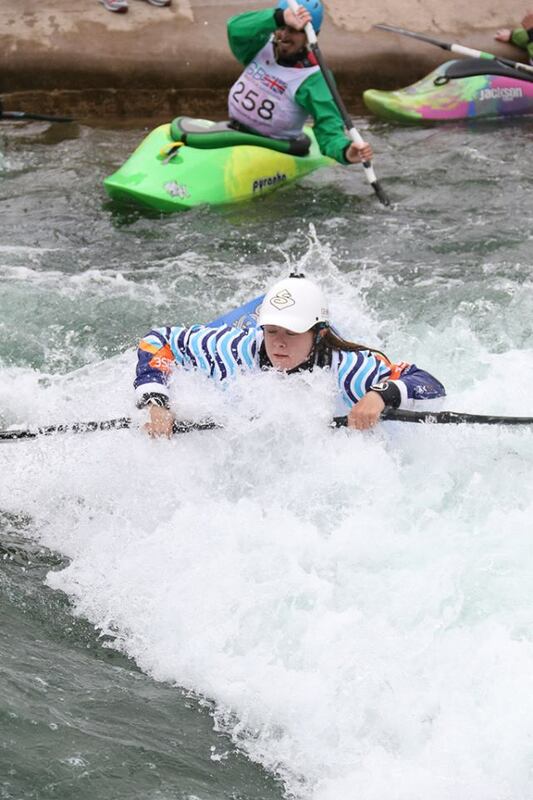 Although I didn’t paddle my greatest in general, I did learn lots about how to manage the day when competitions are later than usual. 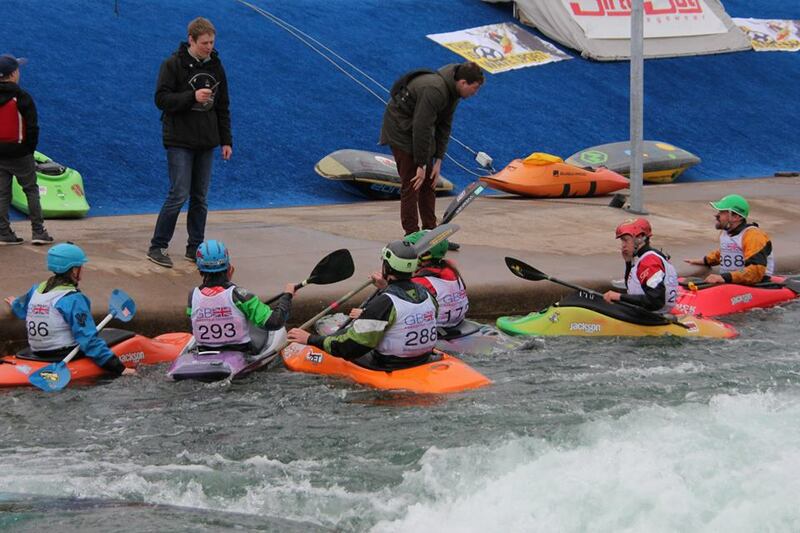 And I also got to see Alex and Zak (who I have helped with some informal coaching) make their freestyle début! Bring on the Welsh Open 2017!